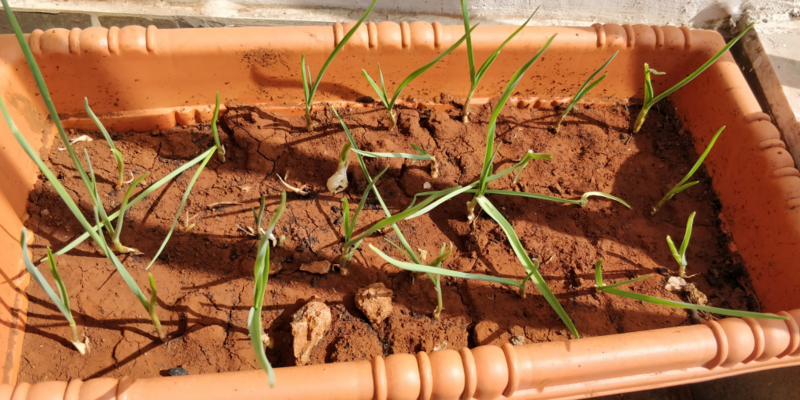 I am going to share the procedure which I have followed for growing garlic in my balcony. Garlic is very easy to grow. Even a novice gardener or someone who is having very little or zero gardening experience can grow garlic with ease. One can grow it indoor or outdoor. I have planted it in my balcony and its really doing well. It can be grown in any season. The best time for planting garlic seeds in soil is starting of spring or middle of autumn. Go for one which is already sprouted. Normal one will do as swell but prefer sprouted bulbs. 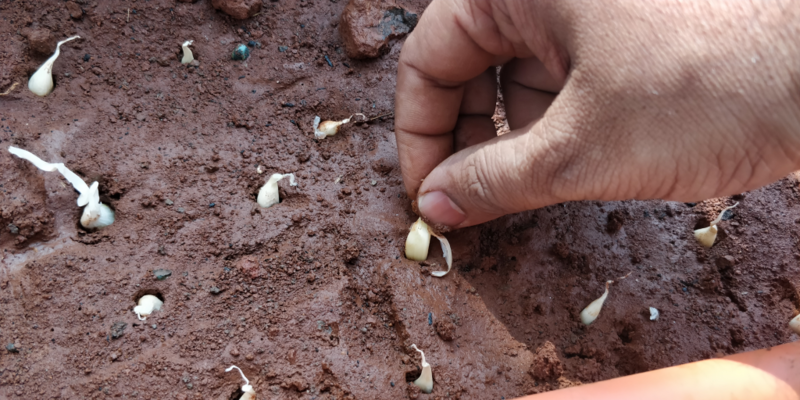 Take garlic cloves and put clove inside soil. Give some space between them and make sure that the tip is planted in upward direction. Also soil should be wet. If you are planting different seeds and keeping at same place than you can write seeds name and date on pot or simply put a tag on it as I have done in above photo. 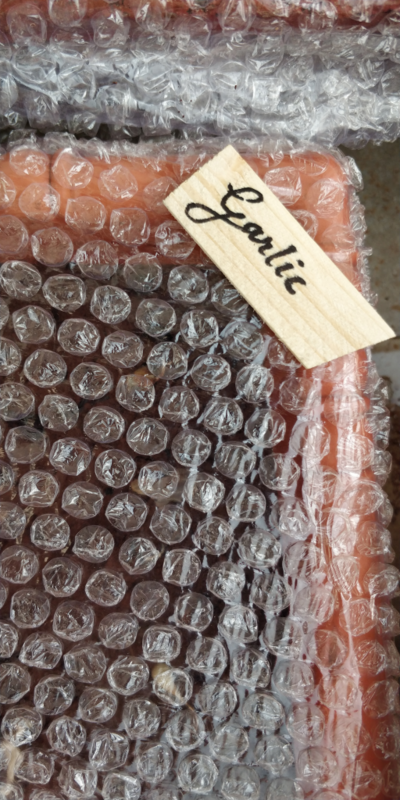 Garlic cloves may take 3 to 8 weeks to germinate/Sprout. Keep checking germination after removing the paper/plastic you have used to cover it. Check after 2 weeks not prior to that. After the garlic is sprouted, spray the green leaves with water. Don’t over water it. Water the soil once or twice a week but do sprinkle the leaves every alternate day. Suman Tiwari is a Cyber Security Professional by Profession and photographer by passion. Now a days he is exploring the plants and flowers that he can easily grow at garden or balcony. 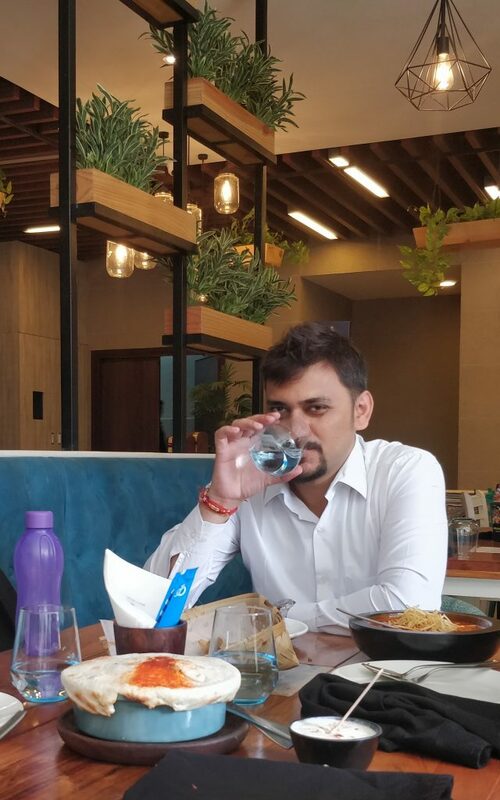 His Linkedin profile can be visited here for more details.